PaddleAir's latest addition to its product line, the Ergo, has been drawing great reviews from myriad surfers. 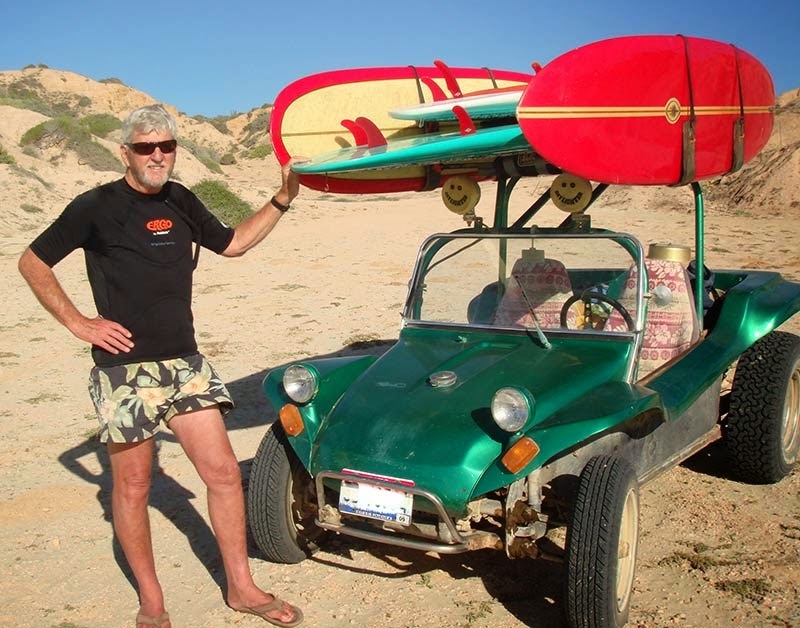 Surf legend, Bing Copeland sent in this great picture of himself sporting a PaddleAir Ergo next to his Dune Buggy and boards on the sands of Baja, California. I love the new Ergo PaddleAir. It fits perfectly and the new hose location is out of the way and easy to get to. I was worried about not being able to adjust the air bladder (which was not an easy task to do) but the bladder is in the perfect place and the whole thing is easy to use and very comfortable. The Ergo, is not Bing's first PaddleAir. 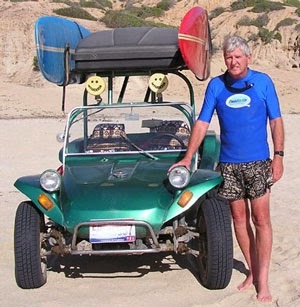 Below is a 2004 photo of him wearing the original PaddleAir Outsider. Yes it's the same dune buggy, boards and location as above but Bing has no beard and the tags on the buggy are different. Check out, "No More Sore Back, Ribs or Neck with PaddleAir" to see his review.